Expertly designed to complement your skin tone, the Perfect Me, Perfect Hue Eye & Cheek Palette from Stila provides long-lasting eye and cheek colours specifically chosen to work with your complexion to create a flawless neutral look. The palette is made up of five eyeshadows and two blushes in matte, shimmer and pearl finishes, allowing you to create customisable looks every time. Avoiding ashy and unnatural tones, the true colour shades appear exactly as you would expect on your skin with intense pigmentation for vivid, enduring colour. The triple milled powders ensure an exceptionally smooth application, without the need for a primer. Housed in a stylish compact with a handy mirror, the palette is ideal for on-the-go applications. Eye Shades: Artistic (neural beige), Dazzling (vanilla), Ambitious (midtone brown with gold pearl), Spontaneous (brown with berry undertones), Mischievous (black brown). Blush Shades: Charming (true cool pink), Angelic (neutral warm rose). Ideal for light to medium skin tones. For a natural look, sweep Dazzling lightly all over lid. Apply Ambitious to create a smoky effect or use Spontaneous as your crease and contour shade. Press Mischievous into the upper and lower lash line and smudge. 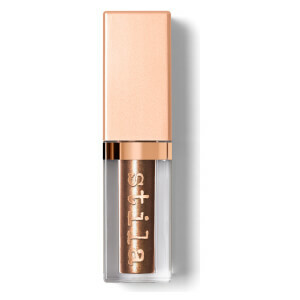 Apply Charming or Angelic to the apples of the cheeks, blending upward. Eyeshadow: Mica, Zinc Stearate, Lauroyl Lysine, Caprylic/Capric Triglyceride, Dimethicone, Polymethylsilsesquioxane, Calcium Sodium Borosilicate, Caprylyl Glycol, Phenoxyethanol, Isopentyldiol. (+/-) Titanium Dioxide (Cl 77891), Iron Oxides (Cl 77491, Cl 77492, Cl 77499), Carmine (Cl 75470), Yellow 5 Lake (Cl 19140), Manganese Violet (Cl 77742), Ultramarines (Cl 77007). Blush: Mica, Zinc Stearate, Lauroyl Lysine, Caprylic/Capric Triglyceride, Dimethicone, Polymethylsilsesquioxane, Caprylyl Glycol, Phenoxyethanol, Isopentyldiol. (+/-) Titanium Dioxide (Cl 77891), Iron Oxides (Cl 77491, Cl 77492, Cl 77499), Carmine (Cl 75470), Yellow 5 Lake (Cl 19140), Red 7 Lake (Cl 15850), Ultramarines (Cl 77007), Red 28 Lake (Cl 45410). <Ilnc151065> Contains Carmine as a colour additive. 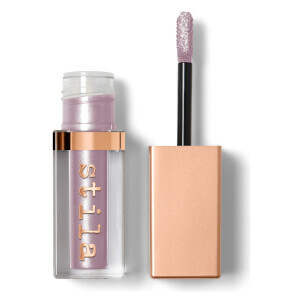 Save 15% on selected Stila.